Are you unhappy when you look in the mirror and notice a few more wrinkles and lines? Are you noticing you have less energy? Is your hair thinning and turning grey? Are you worried about how to look your best for an important event, client presentation, photo shoot or video? Are you missing doing the things you used to do – dancing, hiking, etc.? Does the thought of plastic surgery and botox injections make you cringe? Do you know that your thoughts create your reality and then feel guilty about your self-judgment? Are you ready to let go of the decisions, conclusions, reasons, and judgments you’ve decided create ageing and getting older? Are you ready to have a better relationship with your body? Well, relax and get ready to transform! The Access Energetic Facelift is an amazing process that can smooth, tighten and rejuvenate your face and your body— without surgery, injections, peels or drugs! 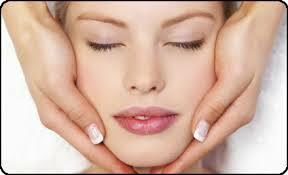 It is a wonderful way to rejuvenate the face and reverse the appearance of ageing. The technique can create similar effects throughout the body. How does it get any better than that!